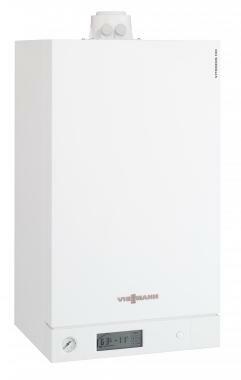 The B1HC Vitodens 100-W is a system gas boiler by Viessmann. This boiler is a wall mounted condensing boiler, that comes with an output of 35kW and an efficiency rating of 89.4% (making it an B rated boiler). It comes in sizes from 4.7 to 35kW. It is controlled by the backlit LCD touchscreen, and with this boiler you can be sure you're always in control as it makes it easy to use as well as easy to read where light may be limited.